Ben Mendelsohn reveals details about the highly anticipated film adaptation of ‘Ready Player One,’ and discusses what makes Steven Spielberg a director nonpareil. Larry King: What is “Ready Player One” about? Ben Mendelsohn: It’s a future dystopian piece where we spend all of our time in virtual reality. And one corporation owns all the hardware; I’ll let you draw your own conclusions as to what type of company that is. I run that company. Ben Mendelsohn: Inside the virtual reality there is many gamses and there are what’s known as Easter eggs. If you can collect the Easter eggs and when the game, you will have control of the Internet, or the virtual reality world. Larry King: How does Spielberg work? What makes him a little different? Obviously he has to have some quality that’s a little different than other directors. Ben Mendelsohn: No one, and no one, has ever moved a camera the way Stephen Spielberg moves a camera. 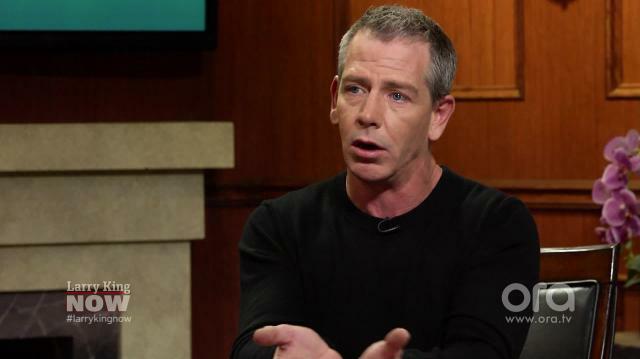 Ben Mendelsohn: The way he moves that camera, the movement in these films, the fluidity of it. And the big surprise with him is that he gets there and he does it organically as it were, on the spot. He might have an idea of what it is he wants to do, but you can feel him putting it together right there on the battlefield as it were. And that’s what makes him incredibly exciting to work for as well. Because when you get little moments right, bam. It’s awesome.